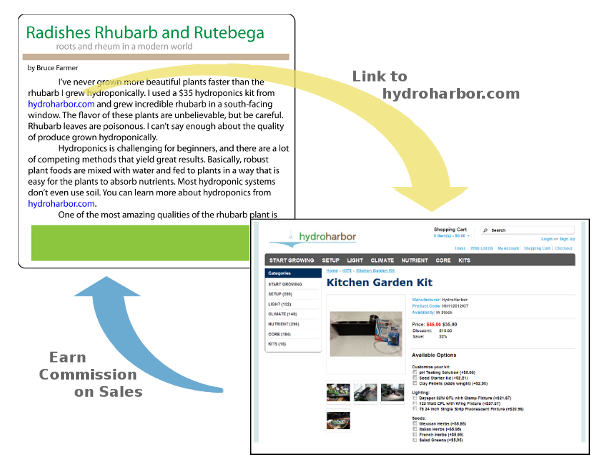 HydroHarbor.com now has an affiliate program! This allows anyone to earn a commission on sales when they refer potential customers to our website. This is your invitation to create an account and spread the word about urban gardening and sustainable living! You will receive a unique referral code when you create an account at hydroharbor.com. From your login, click "Customer Affiliate Tracking Code" for complete instructions.